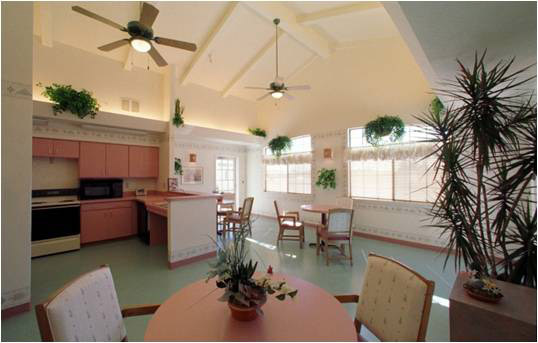 Mesilla Valley Hospice has been a long term client of Studio D. We have most recently finished Phase IV: La Posada. 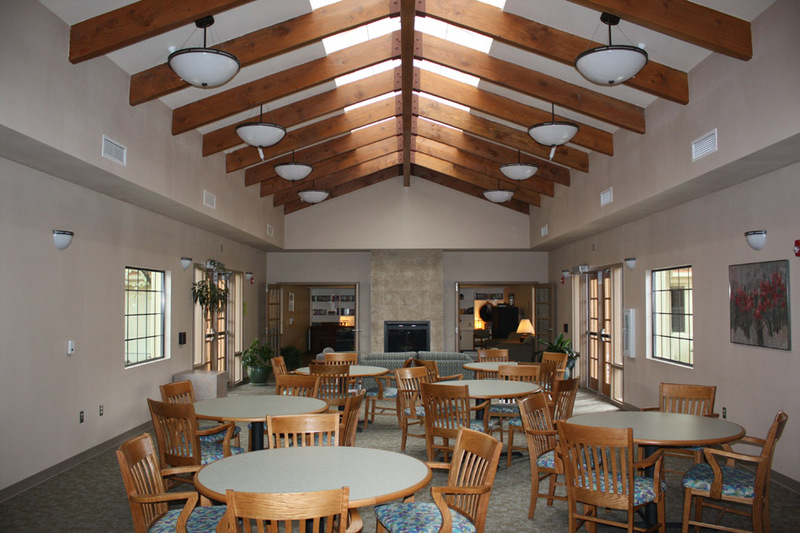 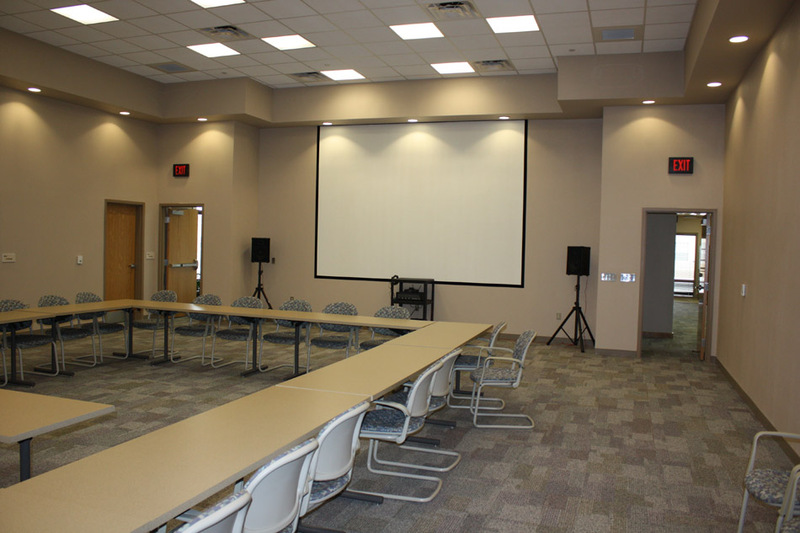 This project included twelve additional inpatient rooms, a new chapel, new commercial kitchen, and new campus building. 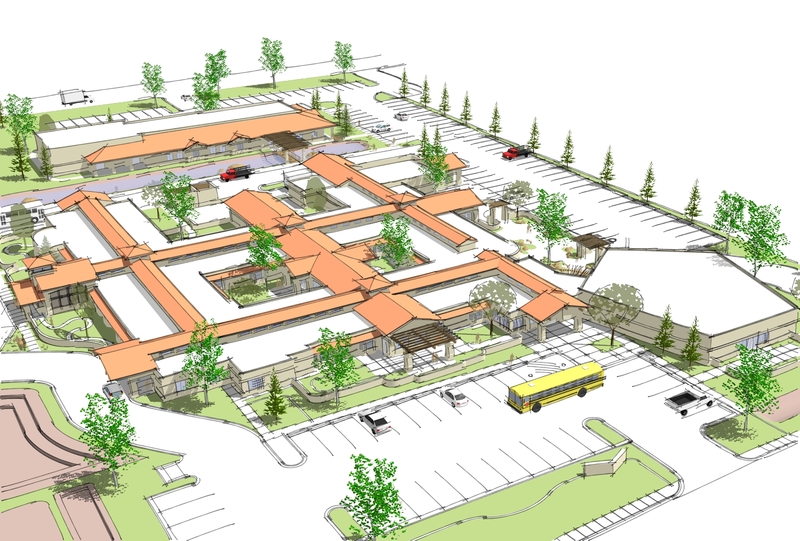 The new 10,000 sf building houses flexible meeting and dining space, ancillary functions, home health offices, and multiple meeting rooms for community use. 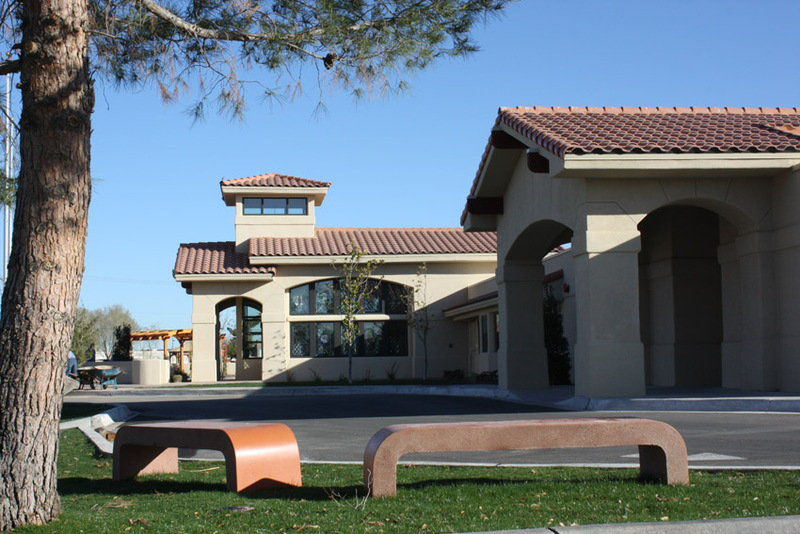 Part of this project was to develop the 6+ acre campus surrounding the two buildings to create a comforting and nurturing outdoor space for residents and family members, as well as the staff and volunteers. 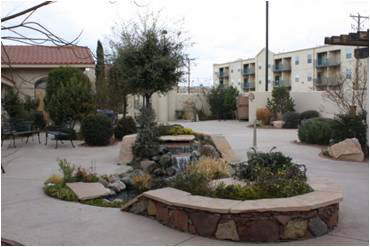 Many different types of walking trails, picnic spaces, and park spaces were developed as part of this campus master plan.